KVAP™ 4.0 Software Release - Kalsi Engineering, Inc.
Kalsi Engineering recently announced the release of the Kalsi Valve and Actuator Program (KVAP™) Version 4.0 software. KVAP™ is the most technically advanced air-operated valve (AOV) and motor-operated valve (MOV) design calculation software in the industry. Unlike competitive software products, KVAP is based on an extensive array of test-validated first-principles models. Based on voice-of-customer input, KVAP 4.0 interfaces with all major AOV and MOV diagnostic test systems to allow seamless bi-directional transfer of set-up criteria from KVAP and diagnostic test results to KVAP for ASME Mandatory Appendix III and Appendix IV functional margin determination, tracking and trending, and verification of calculation assumptions. KVAP 4.0 has been upgraded to the 64-bit Microsoft .NET programming language with modular architecture to keep it compatible with Windows 10 and beyond and to facilitate ease of maintenance. The associated Microsoft SQL Server database provides a robust multi-user platform. Other significant upgrades and enhancements include a tracking and trending module, minimum required air pressure set-up method for AOVs, an instrument catalog with stored measurement uncertainty data, AC voltage drop calculations for MOVs, and bookmarked outputs to allow customized field set-up sheets. 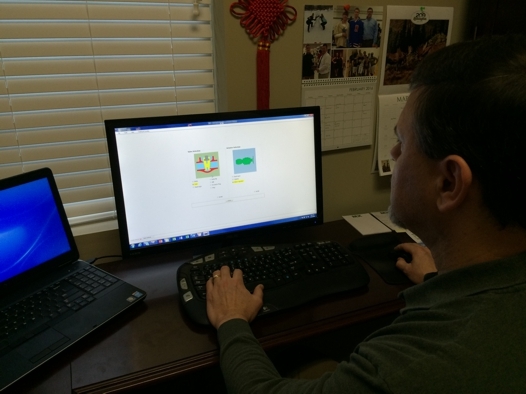 In this photo, a KVAP 4.0 user is selecting a valve and actuator combination to begin a new analysis.